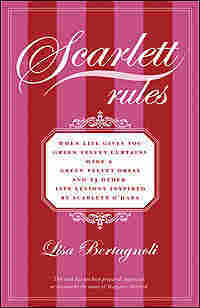 Lisa Bertagnoli, Living By 'Scarlett Rules' Lisa Bertagnoli's book Scarlett Rules uses a classic heroine's resourcefulness as a model for modern women. She draws 24 life lessons from the adventures of Scarlett O'Hara of Gone with the Wind fame. Author Lisa Bertagnoli was inspired by the Gone With the Wind heroine to write a self-help book. At age 16, Lisa Bertagnoli read Margaret Mitchell's classic Gone With the Wind. Scarlett O'Hara, the iconic southern belle, has been Bertagnoli's muse ever since. Scarlett Rules, Bertagnoli's new book, focuses on the heroine's resourcefulness and ingenuity in offering two dozen lessons for the modern woman. For instance, as the subhead advises, "When Life Gives You Green Velvet Curtains, Make a Green Velvet Dress." Bertagnoli talks with Liane Hansen about the book. What is it about curtains and strong women? Scarlett tore down her mother's prized drapes to make not just any old dress but the dress that saved Tara from the tax collectors. In The Sound of Music, Maria refashions some cotton curtains into play clothes for the von Trapp children, in a move that first vexes but ultimately charms their stony father into falling in love with her. Of course it's not the curtains but the ingenuity of looking at a window covering and seeing a fancy dress or a passel of play clothes. Scarlett might have dropped out of finishing school, but she had a good head on her shoulders and resourceful genes she inherited from her successful immigrant father. Throughout her story, Scarlett relied on her brains and resourcefulness to maneuver out of a number of jams. The curtain scene tops the list. Mention Gone with the Wind and that scene from the movie pops to mind. And, for those of a certain generation, so does Carol Burnett’s parody of that scene, in which she models not only the curtains but the curtain rod and rings, too. Examples abound: At the barbecue, Scarlett sat so as to surround herself with admirers, and when Sherman's army showed up on her doorstep, she shoved a wallet containing all the money she owned into Melanie's baby's diaper. Some of Scarlett's resourceful moves were a little unsavory—for instance, stealing Suellen's fiancé—but Scarlett didn’t care. For her, the end always justified the means. Your skirt hem unravels before a big presentation. Your red-hot date cancels three hours before the party. The in-laws have stopped by, unannounced, and all you've got in the way of snacks is a can of Sprite and a bag of stale pretzels. Those wonderful relationship-strengthening therapy sessions are instead suddenly proving that the marriage can't be saved. It's a rare woman whose life doesn't surprise her with a "Great; now what?" once in a while. It's easy to say, like a Girl Scout, Be prepared. Check the hem of your skirt the night before, be willing and able to go to a big party alone, always have a can of nuts in the freezer and a bottle of wine in the fridge should company show up at the door, and for God's sake don't marry the wrong guy. But that's like telling Scarlett she should have packed away one of her dozens of dresses in the cellar at Tara, "just in case." Martha Stewart and other perfectly organized women with television shows always seem to plan ahead. Normal women with normal lives don't. Reality gets in the way. Scarlett didn't pine for a whole wardrobe of new clothes but limited her wish to a single pretty dress. Problems, even tiny nagging ones, have a nasty way of growing into one gigantic "my life is horrible and I'm going to jump off a bridge" mess. Scarlett didn't let herself get dialed up. She decided specifically what she wanted, and she kept calm. She was a little dejected, to be sure, but calm. When mulling the dress problem, Scarlett was sitting in Tara's parlor, which had been transformed into a dark, gloomy sick-room for dozens of soldiers. Longing for the smells and sight of the land she loved so much, Scarlett rose from her chair to open the curtains and the windows. Had she simply sat there in the dark, she never would have given that green velvet a second look. The takeaway? When you're stuck on a problem, change direction. Get up from your office chair. Take a walk. Page through a newspaper or magazine. Sort through that pile of junk mail. Open a drawer, a cabinet, or a closet. With a little time and a little searching outside the box, who knows what brilliant solution you'll stumble upon? Scarlett allowed the curtains to be her solution. She didn't pooh-pooh them for being heavy velvet, a little worn out and covered with dust; she didn't wish they were pristine Frenchmade watered silk instead. When Scarlett found her solution, she didn't waste time with second-guessing. She let the solution be the solution. When Mammy protested Scarlett's plan, Scarlett persisted. If a solution works for you, refuse to take no for an answer. And in difficult situations—say, a divorce or leaving a relationship—you might have to hold on tight to your decision. Dissenters, those who would rather have you wallow in your problem than be free of it, can emerge from the most surprising corners. No life, even the life of your most successful friend, marches along free of problems. The small ones are annoying; bigger dilemmas can be terrifying, even immobilizing. But if you find yourself with a problem and no solution in sight, keep calm and keep looking. If Scarlett, a sixteen-year-old with no formal education, could do it, so can you. Sometimes the answer to even the most vexing problem is in plain sight. Just keep your eyes open—and find it. Scarlett had a distinct creative advantage: "Her back was pushed against the wall," says Maureen Shirreff, longtime adwoman and one of the creators of Dove's provocative Campaign for Real Beauty, which features everyday women instead of actors or models. Says Shirreff, "By hook or by crook, those kinds of people figure out how to get what they want." For less desperate times that still call for top-notch creative thinking, Shirreff passes along these tricks for jump-starting your brain. Reinforce your creative self. Explore your garden, your closet, your jewelry box; cuddle with your children, if they represent your supreme expression of creativity. Such reinforcement says, "Yes, I do have a creative self," according to Shirreff. Plus, exploring familiar territory "is like being a little kid again—it blocks out the world." Know what inspires you.Fill a scrapbook or manila folder with ads, photos, magazine covers, or kids' drawings that make you positively shiver with delight. Explore the unfamiliar. If you love rock-and-roll, put on some Mozart or hip-hop. If you adore Renoir, page through a book of Kandinsky paintings or Cartier-Bresson photographs. "You never know what you might find," Shirreff says. Work with your opposite hand. Giving your nondominant hand a chance to write, draw, or even open a can of soup exercises the nondominant half of your brain, which can unleash a flood of creativity. Shirreff, a right-handed painter, finds that she "sees" better when she draws with her left hand. Revert to your childhood. When she's stuck, Shirreff pages through fairy-tale books illustrated by Tasha Tudor, the same books she treasured as a child. The familiar beauty of the books comforts her—and jump-starts her creativity. Don't be afraid of creativity. And don't overthink it. "Creativity should be delightful, not painful," Shirreff says of the creative process. "I really think we make things harder for ourselves." Excerpted from SCARLETT RULES by LISA BERTAGNOLI. 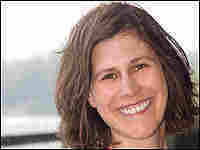 Copyright © 2006 by Lisa Bertagnoli. Reprinted by arrangement with The Random House Publishing Group.